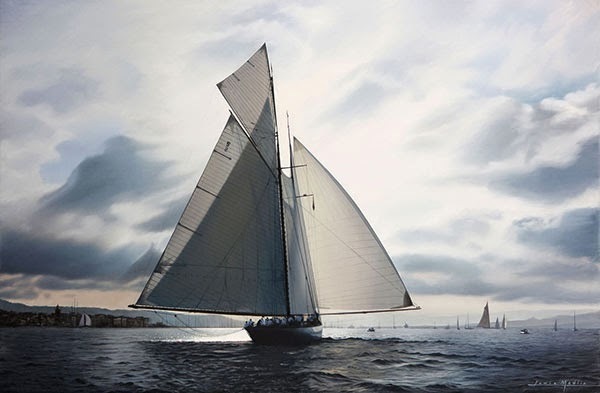 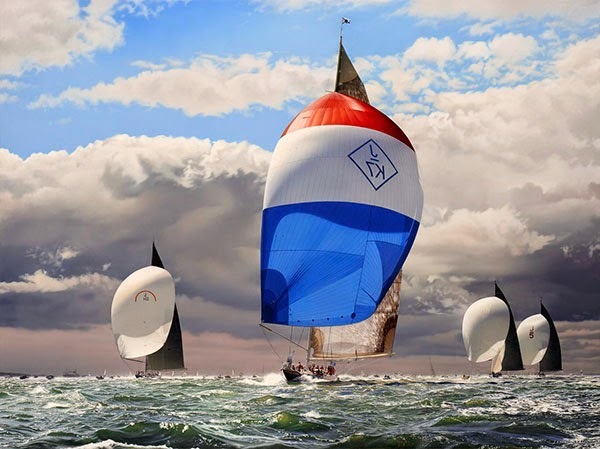 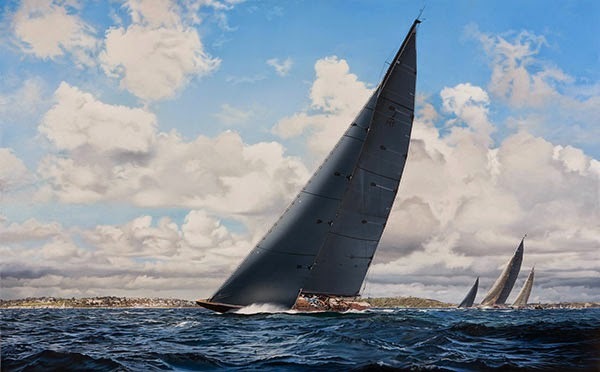 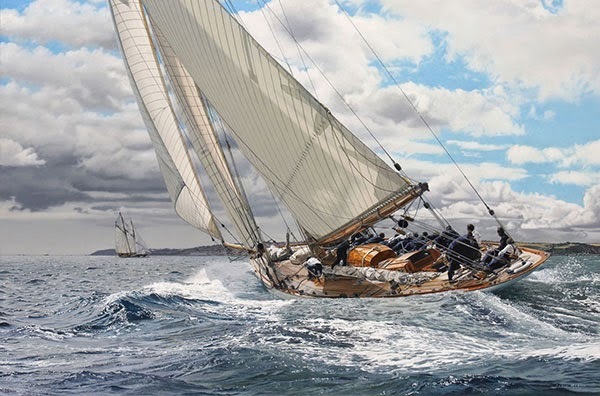 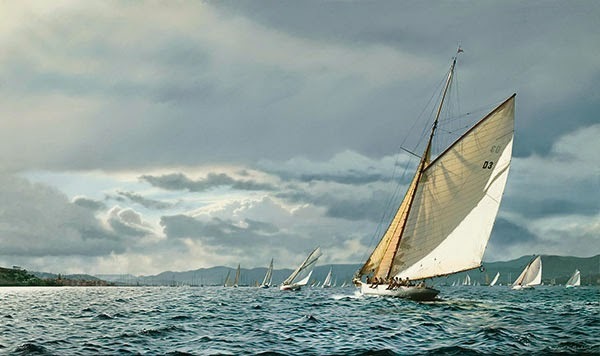 Photorealistic paintings of yachts which he describes are based on details and accuracy gained from his background in illustration, combined with an understanding of light and a natural eye. 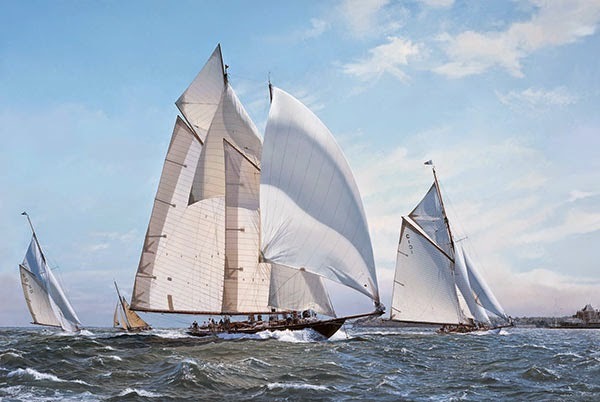 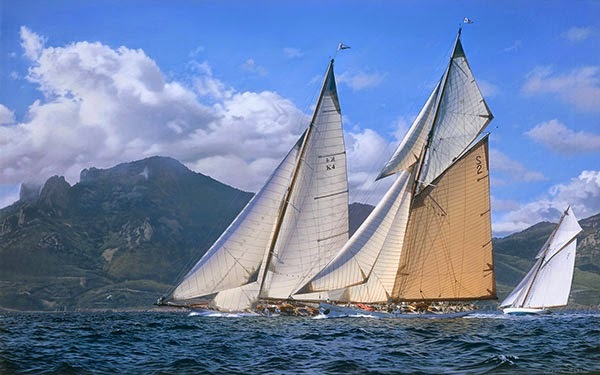 The bulk of the work is from regattas I have attended, namely Les Voiles de St.Tropez, Régates Royales, Westward and Pendennis Cups. 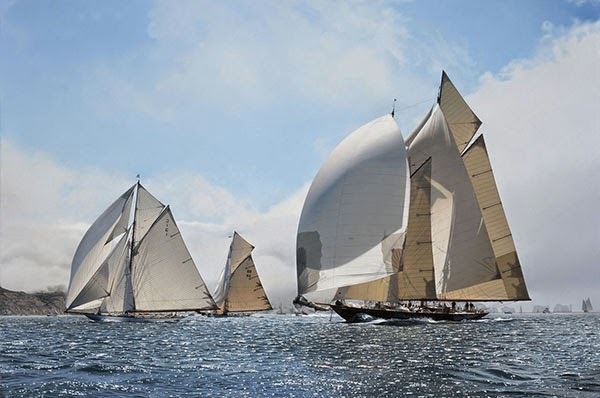 The classics typically tour the Mediterranean during the summer months culminating at Cannes and St.Tropez at the end of September and the beginning of October respectively, but we have been fortunate enough over the last few years to have these wonderful craft gracing British waters with the launch of the Westward and Pendennis Cups.